Sony is expected to release its next-gen flagship range at the upcoming Mobile World Congress event in Barcelona later this month. The company previously announced that its MWC press conference will take place on February 26. 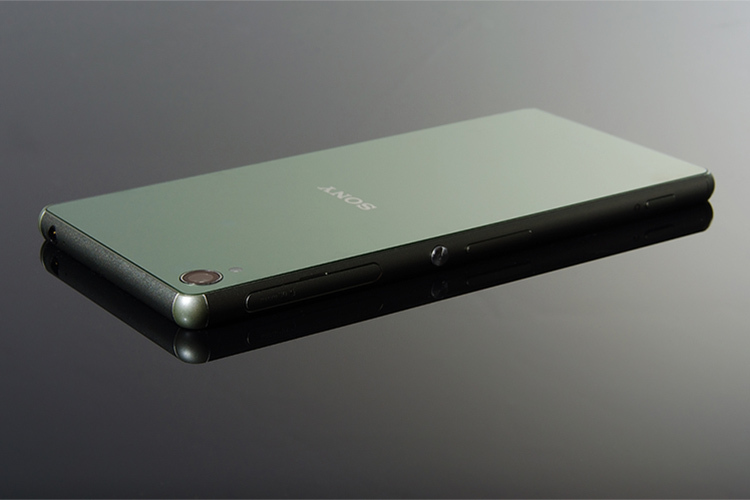 Now, according to a recent report from Xperia Blog, the company is working on a redesign of an upcoming smartphone. 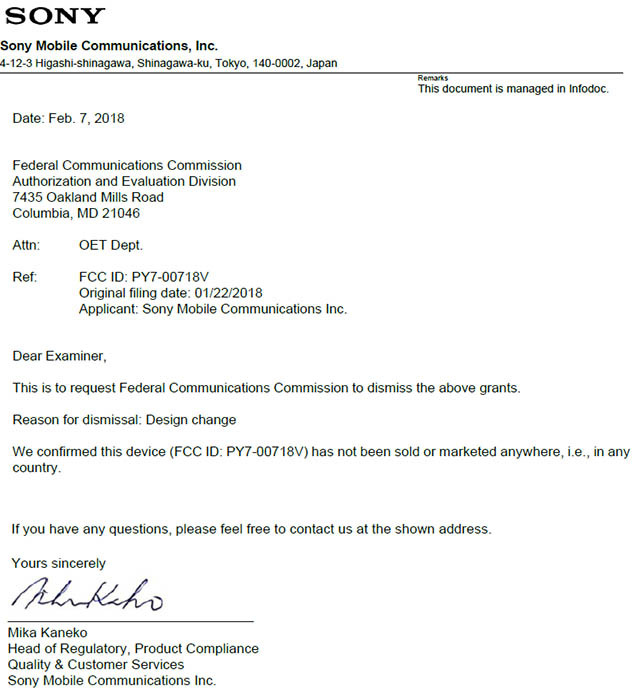 The report cites a letter submitted to the FCC in which Sony has requested the American regulatory authority to remove all grants for the device with the FCC ID PY7-00718V. In the letter, Sony has revealed that due to a design change the company wants the previous grants to be dismissed. While we aren’t sure which smartphone the letter refers to, Sony is expected to reveal the Xperia XZ2 and Xperia XZ2 Pro, which could be the device(s) in question. The company has not revealed any information regarding the design change, but it is speculated that Sony might finally drop its OmniBalance design which it has been using on smartphones since 2013. This year, the company is expected to release smartphones with a more modern design language, probably featuring an 18:9 display. Sony has neither confirmed or refuted these claims and it’s quite possible that the company might be referring to a different smartphone that may be released later this year, but had already visited the FCC for certification.